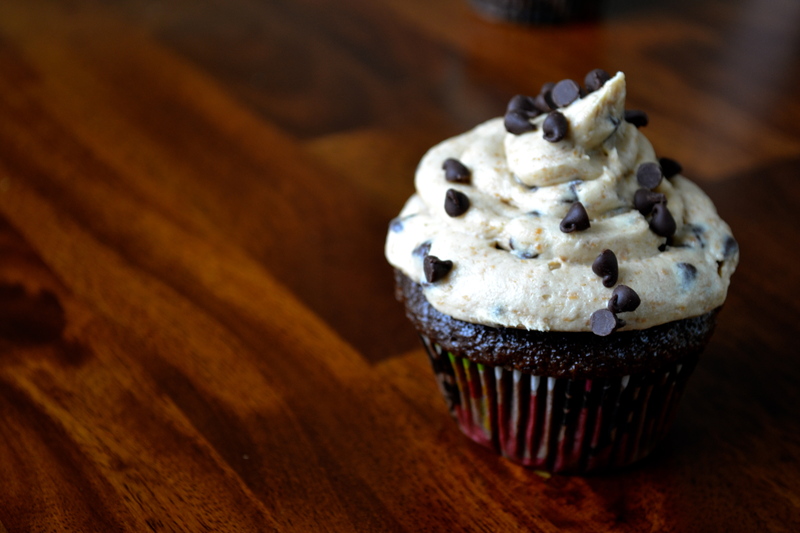 Chocolate Cupcakes with Peanut Butter Cookie Dough Frosting | how 'bout some cake? Sometimes I debate my favorite flavor combination. Is it chocolate and peanut butter, or chocolate and cookie dough? Honestly, I can’t decide. It’s like choosing between children. So on days like that, I make something that brings it all together. If the break-up brownies were a bit over-the-top for you, here’s a slightly less rich combination with all the same flavors. 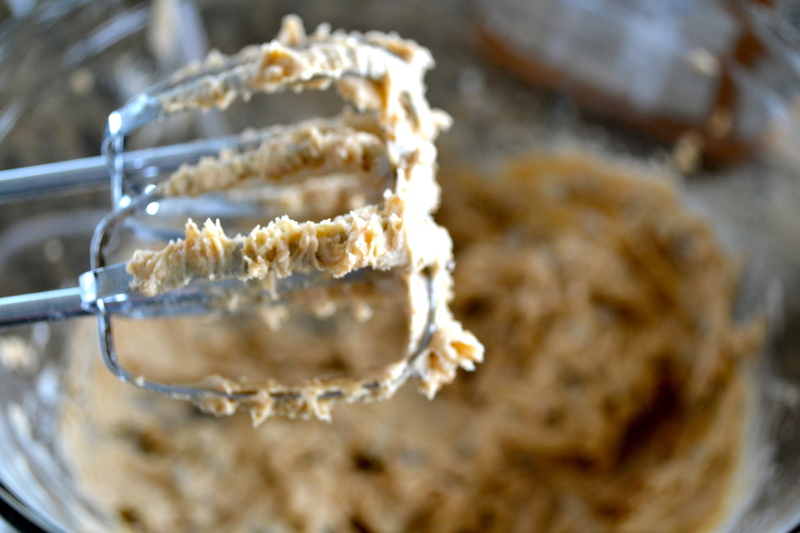 Make eggless cookie dough and frosting recipes below (separately). 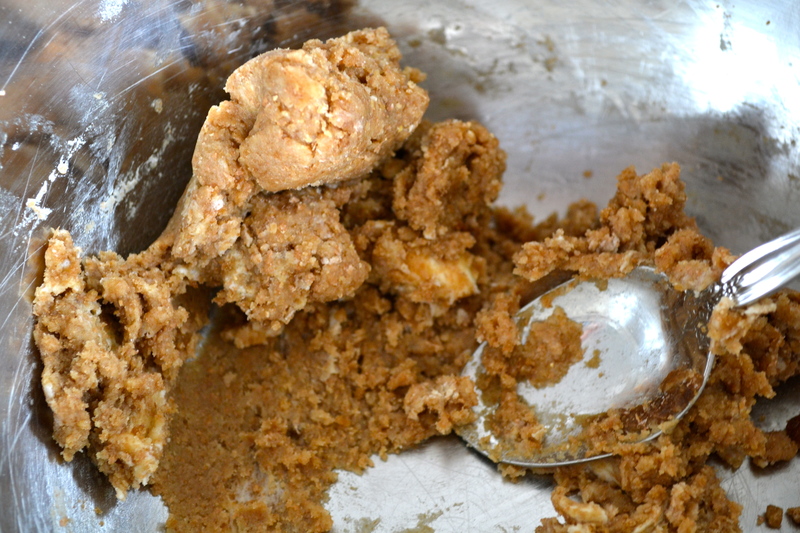 Then combine them, and add a tablespoon of peanut Butter. Please don’t lick your computer screen! 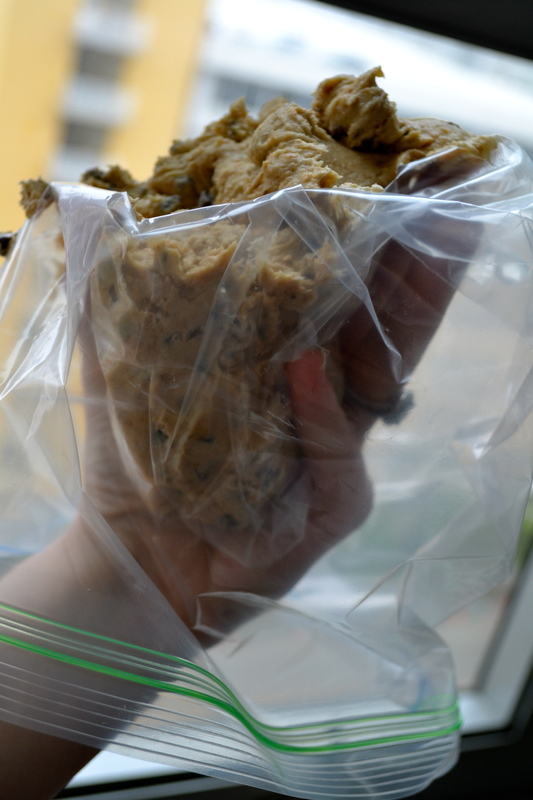 To make my cupcakes look fancy, I always use a big ziplock bag to pipe the frosting on. Here’s how you hold it to fill it with minimum mess. Then snip off the tip, and swirl it on like the pros! These are my favorite cupcakes I’ve ever made, hands down! 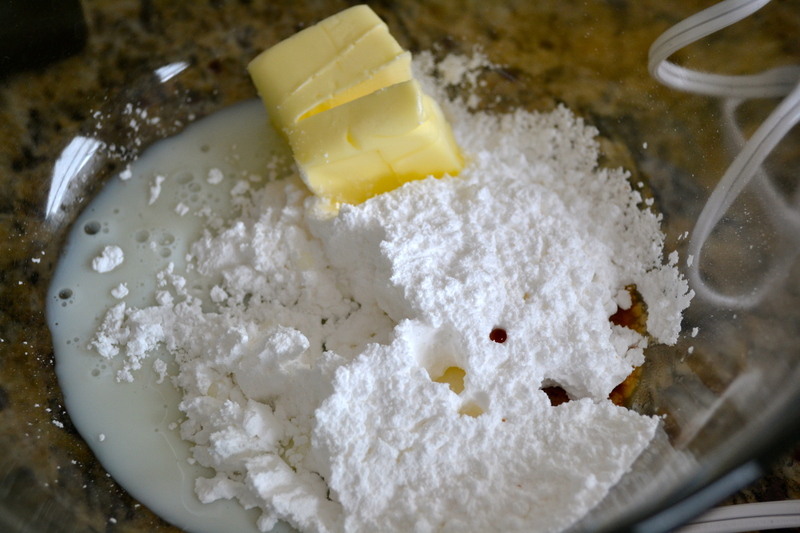 This entry was posted in Food & Recipes, Indulgences and tagged baking, cake, chocolate, cookie dough frosting, Cupcakes, delicious, dessert, food, recipes. Bookmark the permalink. 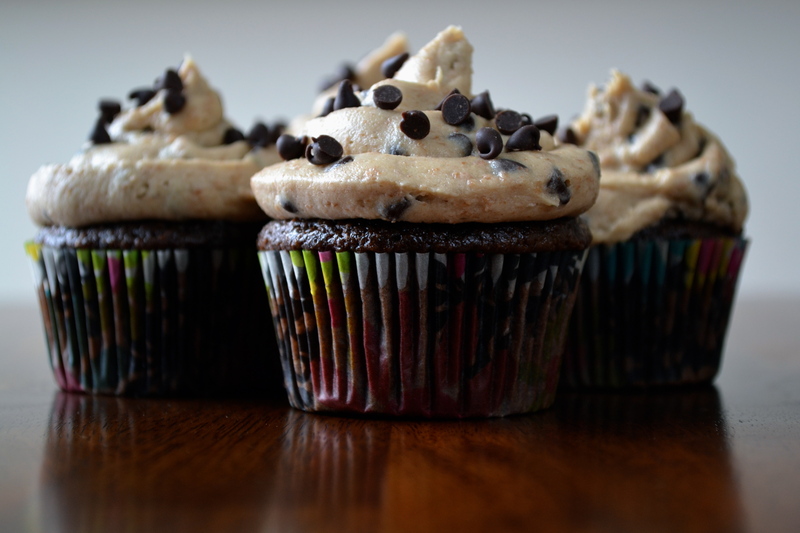 Chocolate, Peanut Butter, and Chocolate Chip cookie dough are my favorite! I wouldn’t be able to choose either. Omg.. are you serious…these look unreal! These look amazing! They encompass all of my dad’s favorite flavors–I’ll have to try them!